It's pretty simple...Reading problems are not outgrown. 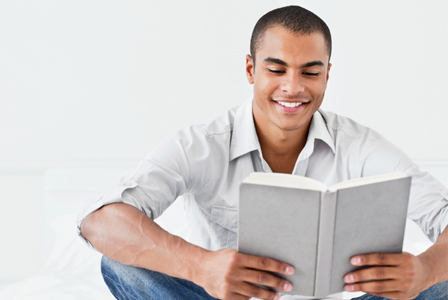 Without help, students who struggle with reading may continue to find it a challenge as an adult. 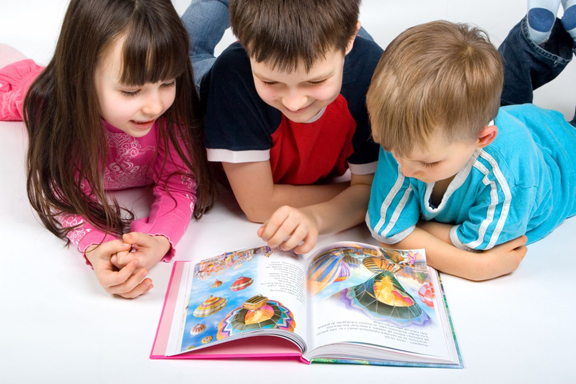 Our Take 20 and Read program encourages you to read at least 20 minutes each day to build a foundation for literacy. What can 20 minutes do? Click here for a great example of how 20 minutes truly made a difference for one teen! 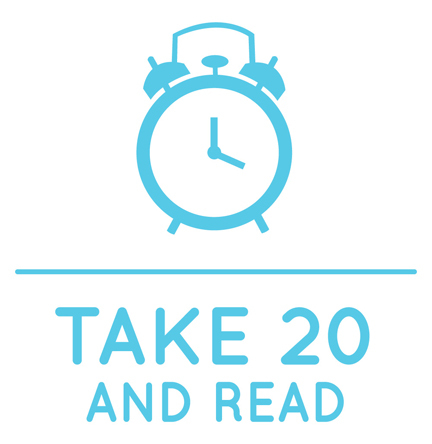 Take Quentin's lead and take the pledge to Take 20 and Read each day. 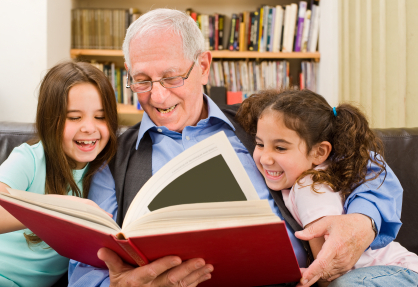 We hope you become an avid reader and take advantage of the literacy and lifelong learning adventures offered through our St. Charles City-County Library District! 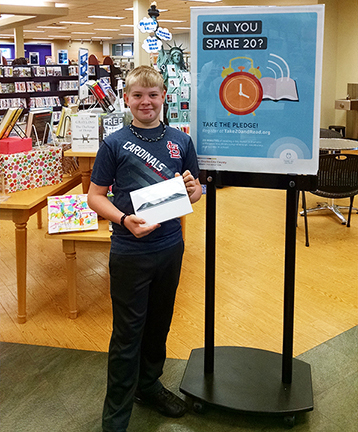 Click here for a list of other Take 20 and Read winners.